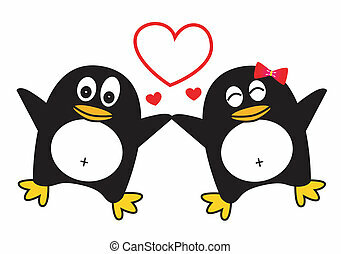 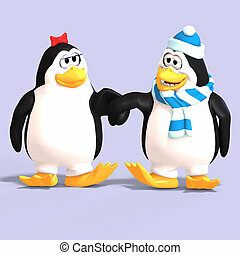 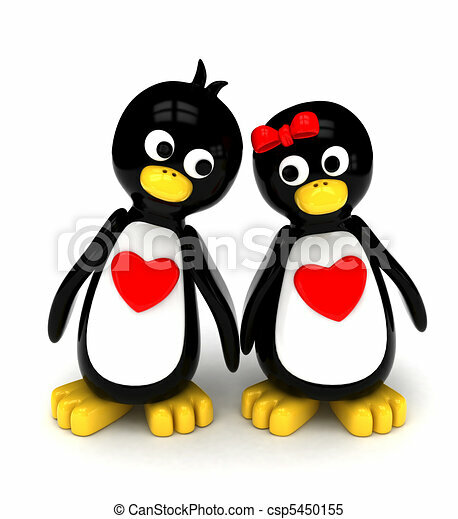 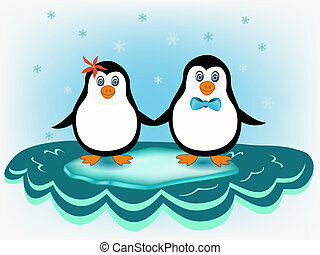 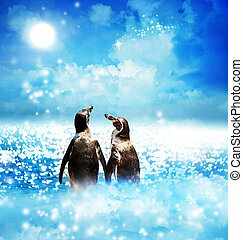 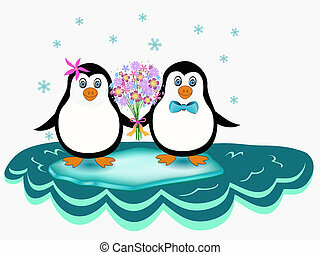 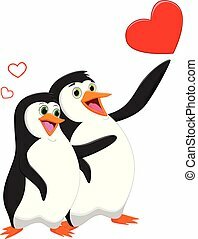 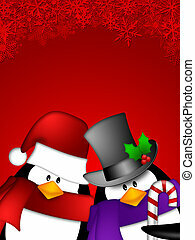 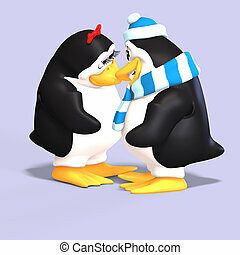 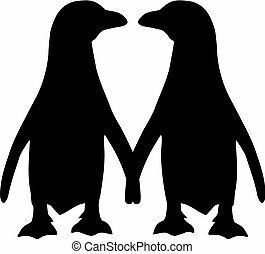 3d illustration of a penguin couple holding hands while walking side by side. 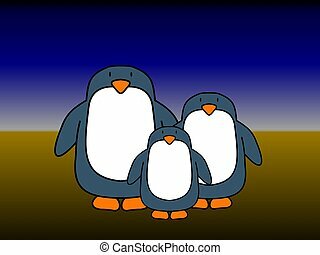 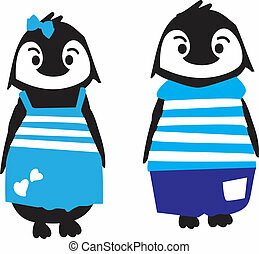 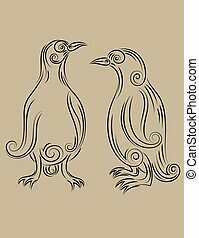 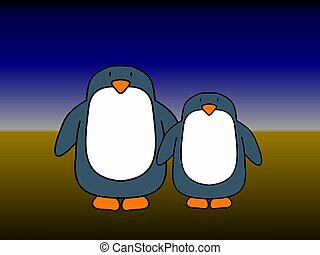 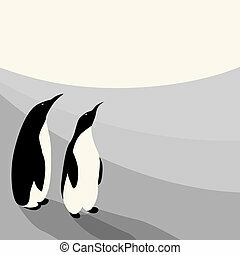 Penguin couple drawn in black and white colouring style. 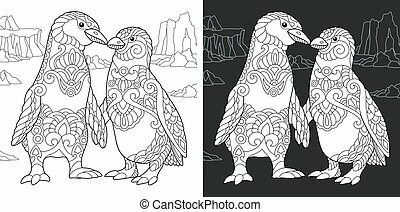 Freehand sketch drawing with doodle and zentangle elements.